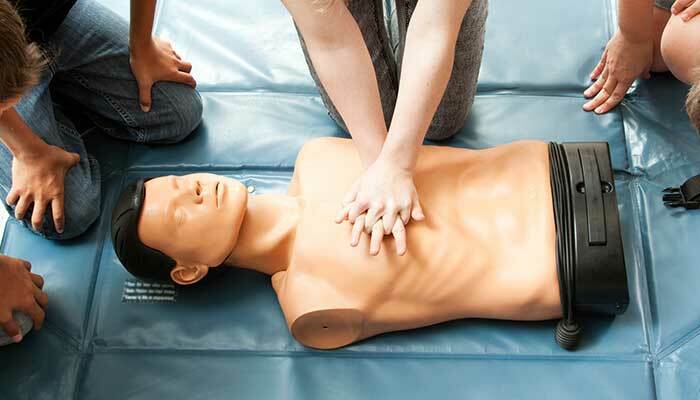 Course description: Provide First Aid is the newest workplace First Aid training qualification and also the most popular general First Aid course. It has replaced both Senior First Aid and Apply First Aid. Our one day course (pre-work must be completed beforehand) provides participants with the knowledge and skills to Provide First Aid in a variety of situations they may face in the workplace and everyday life. If you work in the education or child care sector do not complete this course, you need to complete HLTAID004 Provide an emergency first aid response in an education or care setting, also available from Catch Training. Course outcome: Course Outcome Participants who successfully pass this one day face to face Provide First Aid course will receive a Nationally Recognised Statement of Attainment in HLTAID003 Provide First Aid and HLTAID001 Provide CPR. Entry requirements: First Aid is a skill that everyone should have. All are welcome on this course, there are no pre-requisites. How to treat bites, stings, heatstroke and other Australian summer hazards! Assessment requirements: To pass this one day face to face Provide First Aid course you will need to successfully complete a practical and written assessment. It is imperative that you complete the pre-work unless you are refreshing an existing First Aid qualification. Ensure you read our Pre-Course Information Provide First Aid If applicable and our Student Handbook before booking as it contains our booking conditions. Duration: This course will run for one day. You will also need to complete a pre-work booklet covering theoretical information which you should expect to take approximately three hours to complete.